Consumers are becoming more environmentally conscious every day, making it a prime time for you to share their efforts with the public. What you practice in terms of water conservation, biocontrol use, contributing to less or no pesticide use, and protecting pollinators can make or break a customer’s relationship with your company. How you tell your story and where you share and market this information can make all the difference. Having sustainable business practices and conserving water usage are more common ways growers are working to help the environment. Drew Koschmann, Head Grower at Walters Gardens, says his company has invested in technology to stay sustainable. The company’s dry-fog system raises humidity levels, keeping cuttings turgid, while reducing water usage by not using a set timed schedule. 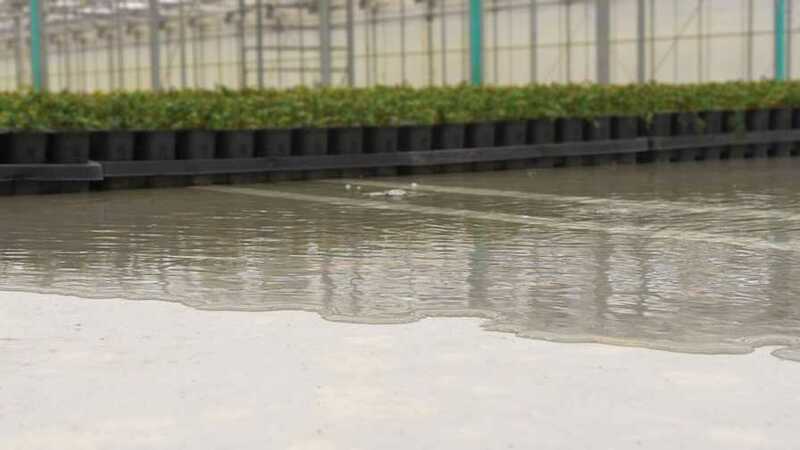 At Spring Meadow Nursery, 90,000 square feet of flood-floor greenhouse space uses a zero run-off system where 100% of the excess water is recaptured, filtered, stored, and reused. Likewise, Agri-Starts, Inc. has a similar conserving system to capture and use rainwater and to recycle, and store excess water. These companies are highlighting their efforts through tours and customer relations. Many growers are now neonicotinoid free to reduce pesticide use and help protect pollinators. Ball FloraPlant announced its offshore cuttings farms stopped using neonicotinoids in its spring production of 2015. Originally, it shared this information through trade press and with customers, and it continues to communicate this to customers when appropriate. “Our reasons were three-fold: buildup of pest resistance, overall chemical expense, and to reduce any toxic effects to the environment,” says Aart De Leeuw, Production Director for Ball FloraPlant. Spring Meadow Nursery has also discontinued neonicotinoid use. Each pollinator-friendly plant is marked with an icon in its catalog to promote these efforts. “Due to increasing concerns regarding pollinator friendliness, we thought it would be in the best interest of our customers to provide them with a starter plant grown free of neonicotinoids, so they would also have the option to market it as such,” says Spring Meadow’s Head Grower Dave Joeright. Darwin Colombia obtained MPS-A certification in 2018 due to its sustainability achievements. This is the highest certification offered through MPS, meaning its practices are the most environmentally friendly. Not only does MPS recognize Darwin Colombia’s steps toward integrated pest management and biocontrol use, it also highlights its conservation efforts of less water and fertilizer use due to the coco-fiber substrate it uses in growing. Darwin Colombia announced its MPS-A certification to the public via trade media in 2018 and established customer communication through a blog post. Recycling used plastics is another sustainable practice by growers. Agri-Starts, Inc. goes above and beyond with its recycling program. Used paper is shredded and reused in shipping boxes. Scrap metals, cardboards, glass, and plastics are sent to recycling facilities. Even landscape trimmings are turned into mulch and used onsite. There are recycling receptacles throughout the property and designated employees to facilitate the recycling program. Randy Strode, Owner of Agri-Starts, Inc. says that although not everyone buys into the being-green approach, most employees are proud of the program, and it has absolutely made a difference in Agri-Start’s sustainability efforts. Some of the best approaches for marketing sustainability efforts are tours, individual meetings with customers, and online presence. 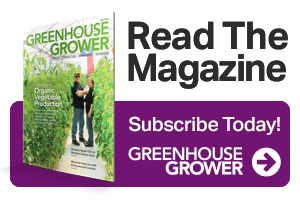 “We like to engage with customers and industry peers via tours where we showcase the sustainable innovations we’ve implemented in the greenhouse,” Koschmann says. Trade events and panel discussions have also been a great outlet to showcase and compare environmentally friendly practices with customers and other industry professionals. Natalie Carmolli, Marketing and Public Relations Specialist for Spring Meadow Nursery, has found that creating short videos is a useful tool to reach new audiences online. Spring Meadow Nursery has gained new customers, while helping growers be more successful, with interesting and informative content. Posting articles on its company websites, creating blog posts, and sharing links through social media and newsletters also provides an easily accessible source of information and allows for more transparency of growers’ practices to the public. Lastly, Sharing your sustainability practices can also inspire others in the industry to implement these practices in their own greenhouses. Good marketers know effectively communicating a message to one’s customers can be accomplished in several ways. Here’s some expert advice from two seasoned marketing pros that will help you market your sustainability efforts better. 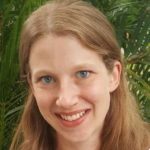 Heather Machovina ([email protected]) is an industry writer, plant scientist, and devoted mother and wife. Additionally, she has worked as R&D Specialist for Agri-Starts, Inc. in Apopka, FL. See all author stories here.